Turkey's current account deficit fell 8.8 percent year-on-year to reach $27.6 billion, falling to a 10-year low, according to data released Thursday by the Central Bank of Republic of Turkey (CBRT). The figure, showing improvement from a nearly $47.5 billion deficit in 2017, was the lowest since 2009, while the country's highest annual current account deficit over the last decade was seen in 2011, with $74.4 billion. The current account deficit recorded gradual increases in the period of August to November with a series of measures the government took and the rebalancing of economic activity. In 2018, the current account balance posted a surplus in four consequent months, reaching the highest point in October. Last year, the current account balance recorded a surplus in August, September, October and November, respectively, at $1.9 billion, $1.8 billion, $2.6 billion and $1.1 billion. The survey also forecast a current account deficit of $1.49 billion in December, with expectations ranging between $0.9 billion and $1.8 billion. In December, excluding gold and energy, the current account balance indicated a $2.5 billion surplus, versus $2.4 billion in the same month of 2017. "This month, the goods item recorded a net outflow of $1.68 billion, indicating a decrease of $5.86 billion compared to the same month of the previous year. "Travel items under services recorded a net inflow of $898 million, increasing by $118 million compared to the same month of the previous year," the bank said. According to the New Economic Program (NEP), presented in September of 2018, the ratio of the current account deficit to the gross domestic product (GDP) will gradually decrease as of next year and fall to 3.3 percent in 2019, 2.7 percent in 2020 and 2.6 percent in 2021. According to an Anadolu Agency (AA) survey, Turkey's end-2019 current account balance is expected to show a deficit of $19.8 billion, with expectations ranging from between $5 billion and $28 billion. Commenting on expectations for current account data this year, Halk Investment Research Director Banu Kıvci Tokalı argued that the fall in current account data will continue in the first half of the year in accordance with developments in exchange rates and demand. Energy prices and a new program to support exports will also positively impact the current account balance and the deficit is likely to be $19 billion. "The current levels of exchange rates, economic slowdown and the flow of oil prices will be decisive for the course of the current account balance. In addition, the Fed's decision not to expedite monetary tightening policies is a positive signal as it might lead to an increase in the flow of funds into emerging markets," Tokalı said, and pointed out the significance of trade wars, which have so far relatively inhibited the funding flow into emerging markets. Speaking in an exclusive interview with Anadolu Agency after the data was revealed, the Central Bank Governor Murat Çetinkaya said Turkey will continue to follow a tight monetary policy until it sees significant improvement in the country's inflation dynamics. Çetinkaya spoke about a range of issues, from recent developments in the global economy to the bank's monetary policy, and the recent dramatic improvements in the country's current account balance, and inflation. "We have to see a sustained improvement in the indicators related to the underlying trend of inflation and overall pricing behavior. That means that one-off base effects or external cost factors leading to a change in relative prices would not be enough," he said, emphasizing that simultaneous developments in various trend indicators and pricing behavior were needed to consider it as "significant improvement." The governor underscored that Turkey's determined stance toward price stability supported balanced growth in the current conditions, and maintaining strong focus on price stability improved predictability and financial stability. "From this point of view, we believe that strong adherence to macroeconomic policy coordination is crucial. The recent policy mix is a reflection of this awareness. 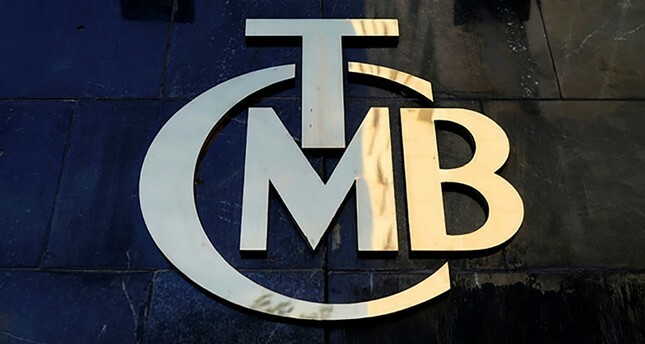 We believe that the most important contribution of the Central Bank of Turkey to this process will be to maintain the focus on price stability," Çetinkaya said, underlining that it was "critical" to boost the economy's resilience to external shocks. "The slowdown in global growth and concerns over trade policies may curb the risk appetite," he said, despite financial markets across the globe being relatively calm. He said the steps taken last year by the bank and the government had proved effective so far in alleviating market volatility. Underlining the importance of maintaining the rebalancing process through 'coordinated policies', and supporting this process with structural policies to bring lasting improvement, Çetinkaya said: "The coordinated policies implemented to reduce inflation uncertainty have contributed to the decline in risk premium, thus improving Turkish lira-denominated stable funding facilities, and lower long-term interest rates." "This, in turn, has supported the recovery in economic activity and investments," he added. Commenting on the improvement in the current account balance, Çetinkaya said: "Part of the correction in the current account balance is due to the economic slowdown. However, it should be emphasized that the strong course of exports and tourism revenues has also supported the rebalancing process in the recent period. In other words, the improvement can't be solely attributed to weak domestic demand." The governor said structural steps to boost productivity and competitiveness, as well as reinforcing savings and financial awareness were crucial for long-term and lasting improvement, adding that "macro-prudential measures encouraging prudent borrowing would support this process."